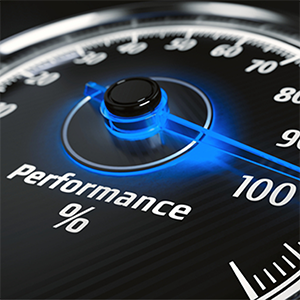 Today, enterprises treat web performance to be a growing necessity as users expect secure, instant, and reliable access to online content, from any location and any device. Web performance monitoring/management refers to the measurement of a website’s potential to respond efficiently to end-user interactions. There are several things that lead to poor web performance. Some of these include file sizes, system architecture, file quantity, and user variables such as device, browser type, location, connection speed, and operating system. With dynamic distributed content, it is possible for performance problems to manifest themselves at any point because of website changes or failing or inadequate hardware. Sometimes, third-party content could also be a cause for poor performance. Use fewer redirectsFewer redirects are beneficial because when you redirect to another webpage, it will only develop an additional HTTP request, thus increasing page loading time. Data URI allows including data in-line and normally separating elements like images and style sheets to be called in a single HTTP request rather than from many HTTP requests. Specify the height and width in the code of the actual image size; resizing images that are bigger than the coded dimensions take a long time to render. CSS sprites are included by grouping numerous images into a single file, and then placing them within your CSS in order to reduce the number of requests. Reduce HTTP requestsAll fetched resources with either a HTTP or HTTPS web address decreases speed, meaning that your website will perform better when there is a minimal number of requests. Simplifying the design and coding elements will help in speeding up the performance of your website. Give importance to your serverEnsure that your server administrator regularly tunes the server allowing your website to accommodate higher traffic growth as required. Optimal server performance will surely guarantee a better user experience. Remember to monitor server resource utilization and make changes to the server capacity. Minimize the size of the cookie by keeping them as small as. Remove unnecessary cookies, place them at the appropriate domain level, and serve static content from a domain that does not attend to cookies. Code betterWrite cleaner codes by reducing the lines of coding as much as possible, using design patterns, avoiding recursion, and optimizing database queries. It is always good to have a structured and readable code as it enhances maintainability and lowers HTTP overload, all of which will significantly boost a website’s performance. With CDN treated to be a great tool for web performance management, you will thus need a prominent provider of CDN like Comodo – a cybersecurity company that has developed a web security product called cWatch. Comodo cWatch Web is a Managed Security Service for web applications and websites that combines a Web Application Firewall (WAF) provisioned over a Secure CDN. Comodo’s Cyber Security Operation Center (CSOC) is staffed with security analysts who work 24/7 to provide a fully managed solution. The Security Information and Event Management (SIEM) is capable of leveraging data from more than 85 million endpoints to detect and mitigate threats even before they occur. To further enhance web performance, cWatch Web also provides malware detection scanning, preventive methods and removal services allowing organizations to employ a proactive approach that will help protect their business and brand reputation from infections and attacks. This web security tool is also available with a vulnerability scanning feature in order to provide online merchants, businesses, and other service providers handling credit cards online with an automated and simple way to continue to be compliant with the Payment Card Industry Data Security Standard (PCI DSS). Let’s take a closer look at Comodo’s secure CDN, which is a network of globally distributed servers specifically designed to enhance web performance by delivering content using the closest server to the user and is confirmed to increase search rankings. Security: Comodo’s CDN is considered to be the only web services platform built on security, along with a fortified machine learning core capable of aggregating, studying and syndicating real-time threat data both from and to each of Comodo’s secure services. Faster Speeds: Website data gets copied to 29 locations all over the world to guarantee that data has shorter distances to reach a customer wherever they are and providing a quicker experience. For instance, an individual based in Europe will load data from a CDN node in Europe, even if the website is hosted on a server in the USA. SEO Rewards: Search engines effectively reward websites using CDN with higher rankings on search results. High Availability: Traffic can be scaled up and down automatically because the CDN will be serving content with almost unlimited capacity. Unforeseen surges in traffic will no longer be a challenge to the server, as it will be able to maintain speed and optimal speed under grave conditions. Save Money: CDN helps in leveraging compression and browser caching technology in order to save on bandwidth costs and usage. Content Protection: You will be able to protect “premium/paid” content and prevent hot-linking by establishing flexible key and proxy authentication.